There was a time, maybe 20 to 30 years ago, when an American metal band like Shatter Messiah would actually create some interest in their own country, maybe even get a record deal with a national company. Not so much anymore, when you play traditional thrash and power metal. You've got to find your audience and recognition elsewhere, more specifically in the European theater. That's why, once more, for their fourth album, Orphans Of Chaos, the Akron Ohio band finds them on an European label, Sleazy Rider Records of Greece. 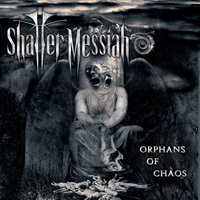 The long and short of Shatter Messiah and Orphans Of Chaos is a hybrid blend of traditional heavy metal with thrash and power metal. 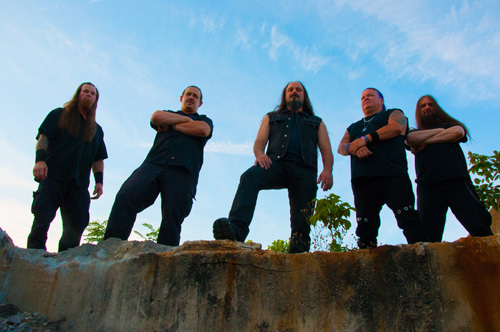 The core substance of their sound is built upon a wall of assertive twin guitar riffage, undergirded by a equally heavy bottom end, and then peppered with blistering guitar solos. Vocalist Michael Duncan presents also with an assertive style, mostly raw to razor sharp. As for the songs the can go from lumbering and thumping with Fix For Demise or Doom to speedy and thrashy with Shallow, under three minutes. Often the pacing and heaviness ebb and flow within the songs as with The Mad Men Lies, Thoughtless Timeless, and Nothing Friend. Amidst all this bristling thunder, Shatter Messiah, at the end, finds time dial it back with the somber piece Free. Mostly acoustic guitar and drums at the start, it builds to a crushing riffage crescendo in the latter third. Some might take this movement within arrangements as some signal of a more progressive metal, and I would understand that perspective. Fundamentally, however, with Orphans Of Chaos, Shatter Messiah simply plays assertive, guitar forward, bristling American heavy metal. But fat chance you'll find it in your local independent record store. Fundamentally, however, with Orphans Of Chaos, Shatter Messiah simply plays assertive, guitar forward, bristling American heavy metal, laced with thrash and power metal, and nearing progressive metal.